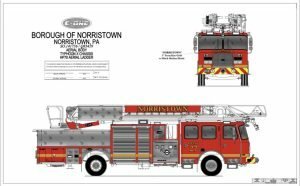 With the Municipality’s Capital Improvement Plan, the Norristown Fire Department was awarded a new Quint as part of the vehicle acquisitions. 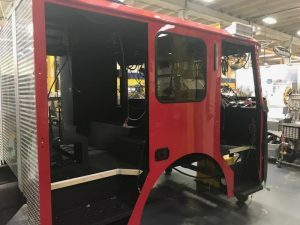 The new Quint will replace the 2001 American LaFrance Quint. 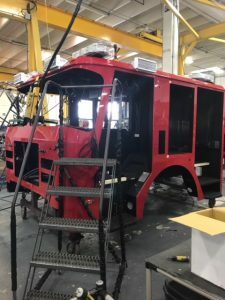 Production started in the beginning of June and is expected to be delivered sometime in August. The new addition to the fleet is an E One HP 78 Quint on a Typhoon Chassis. It will have a Hale 1500 GPM Pump and carry 500 gallons of water. The aluminum aerial is 78′. The cost of the project is $837,214. 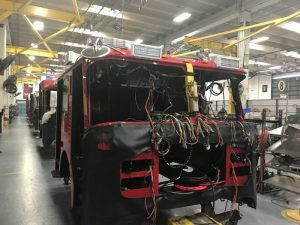 Check back as we will continue to update this post with photos of it’s progress.